We are providing our esteemed clients with an excellent quality of Gumboots, which are manufactured using sweat absorbing fabric & leather. The offered products are availed in different designs and other related specifications, in order to meet the variegated expectations of our valuable customer. Our provided range is rigorously tested by the team of our professionals. 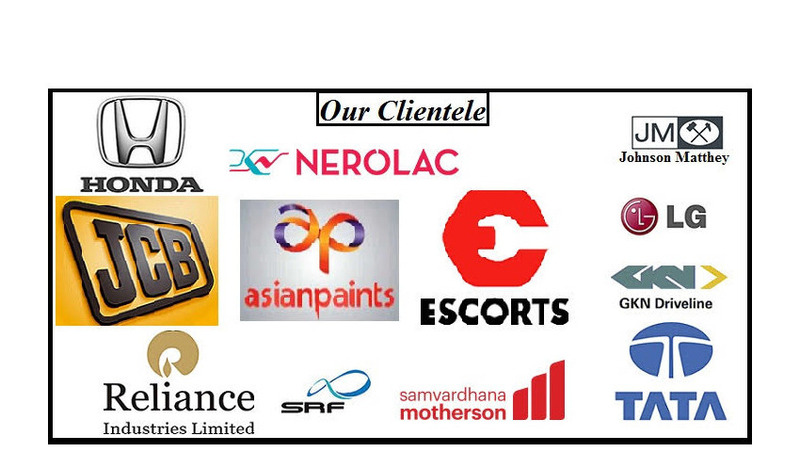 Furthermore, our clients can avail these products from us at market leading prices. Price Range- Rs 1000 -5000Box is for 1 pair & Carton is for 10 pair.Composite Toe & Steel Toe is also available. 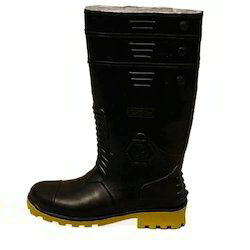 Our offered range of PVC Gumboot with Steel Toe is made of superior quality PVC materials which offer utmost safety and protection against acids, solvents, impurities and other hazardous elements. With several sizes and uniform height these find exclusive utility in Agriculture, Tanneries, Mining, Ports, Fertilizers Units, Chemical Industries and General Construction and Rainwear sectors. 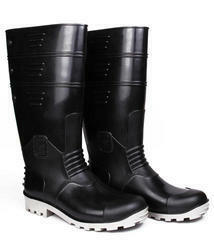 Sole: PVC resistant to Solvents, Mild Acids, Alkalis, Some chemicals, Oil and Fats. Wide grip thread for optimum dirt, release and traction. Upper: Heady Duty PVC. Lined or easy clean, Ribbed for easy liquid run off. 3 trim heights for wearer comfort. Kick off spur on heel for easy removal. Reinforced ankle, heel and instep for optimum support.